Welcome to the first blog post in our new series. We are putting together some resources to help give you a bit of advice on looking after the elderly. Seeing changes within a loved one can be extremely tough, and sometimes daunting if you do not know how to help. Now we aren’t qualified to give you full advice, but remember that we understand more than most people. We have been through the same emotions and challenges that you have, and we want to be able to give you a bit of help to make your life a little easier. Here are the top tips that we have come up with, do let us know if you have any other strategies that you have found useful when it comes to caring for the elderly. We are presuming here that you have already taken the elderly person you are caring for to the doctors, and have a formal diagnosis. After this, you need to spend time reading up about the illness, and trying to gain an understanding of both what the person is going through, and any challenges that are likely to arise. It is important that both you and the person you are caring for understand how this illness is going to affect both of your lives moving forward. Whilst carrying out this research, it is a good idea to look out for support groups within the local area. It is a great idea to get in touch with others who are going through a similar thing to you. Remember, you are not alone. Even if you are planning to care for the elderly person yourself, still spend time researching in-home care options and assisted living communities. Just in case further on down the line it all gets too much for you to handle. It is important to have a back-up. Caring is extremely time-consuming, and it is easy to get consumed within the day-to-day care. But don’t try and do it all yourself. It is not a sign of weakness to ask for help, it is actually a very noble thing to do. Speak to your close family members and friends, they are there to support you. Don’t get into a situation where you are becoming socially isolated – even asking for some help on the smallest of tasks will give you that spare time to have a cuppa with a friend. For example, if you need grocery shopping for the person you are caring for, see if a friend or family member can pick up a few things next time they are shopping. It may seem like a very small thing to them, but to you it can save a lot of time. There is lots of support out there for caregivers, including community transportation services, adult day care, long term care, health care services and meal programs. 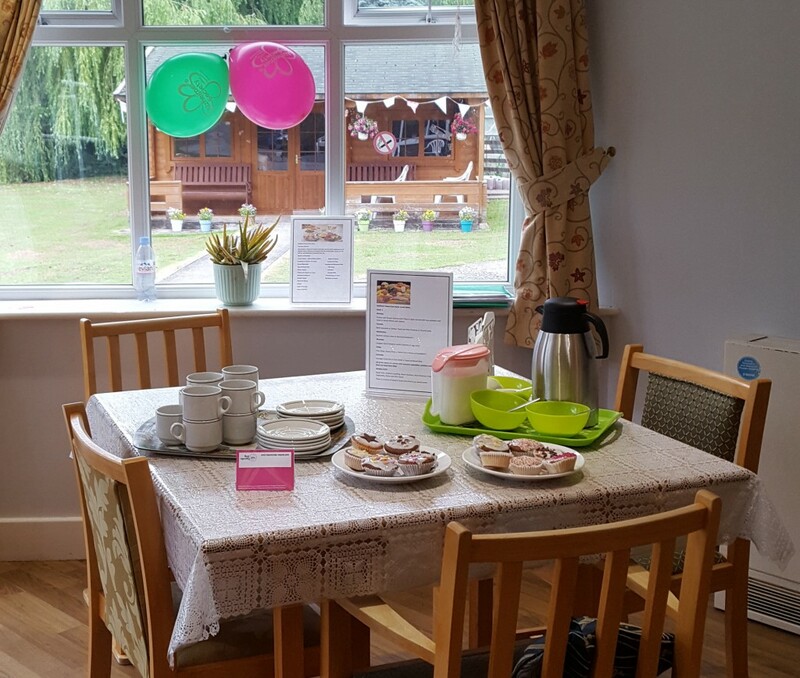 Here at Waltham House, we have even launched a new carers coffee morning in our area to bring like-minded carers together. The internet is a wonderful thing – have a browse and find support in your local area. Remember that the person you are caring for is also going through an extremely tough time, and will be struggling to come to terms with their illness. Frustration and anger may appear, particularly as they may be able to see themselves deteriorating. Try to maintain calmness, and be positive. Getting the elderly patient involved in puzzles or crosswords could really help to take their mind off things, even if just for a short while. Everyone’s situation is different – you may find that respite care works best for the person, or you may decide to care for them on your own. Take the time to research and discuss any options that are available to you with your patient. It has to be right for both of you. The hardest thing when looking out for someone else is caring for yourself. If you are not healthy and strong, the other person will also be affected. Often, as a carer, you will put all the time you have into caring for your patient and will forget to take care of yourself. Make sure that you get enough rest, and maintain your usual healthy lifestyle. Take time out to get some exercise – it can really aid keeping your mind healthy, and reduce stress levels at the same time. If you don’t take care of yourself, you will burn out quickly. We hope you have found this first blog useful. Like we mentioned, if there are any tips that you have for caring for an elderly patient please share them with us. Look out for our next post on how to care for those suffering with dementia.